The Bartow, FL property suffered damages due to a tornado caused by Hurricane Irma. 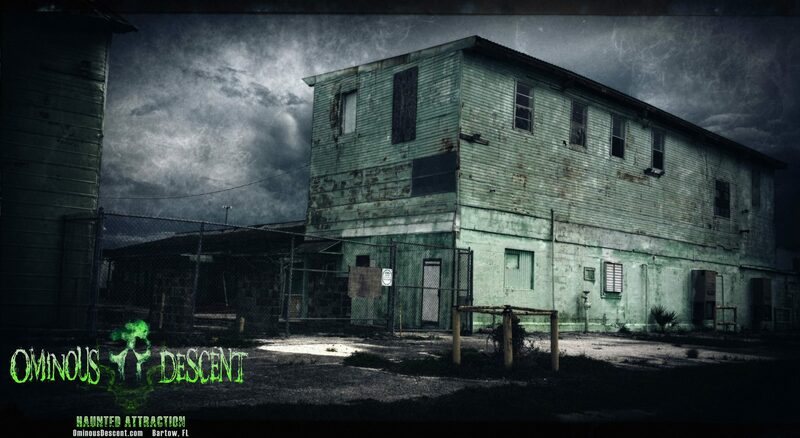 Ominous Descent will not be able to offer the full experience our fan's deserve. 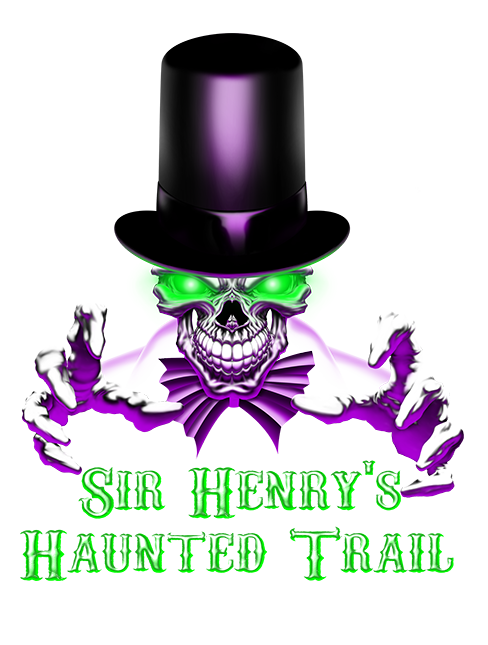 However, a local haunt located in Plant City, FL named Sir Henry's Haunted Trail offered us space to give our fans a piece of our story. We cannot thank them enough! Sir Henry’s Trail will host Ominous Descent for the 2017 season. 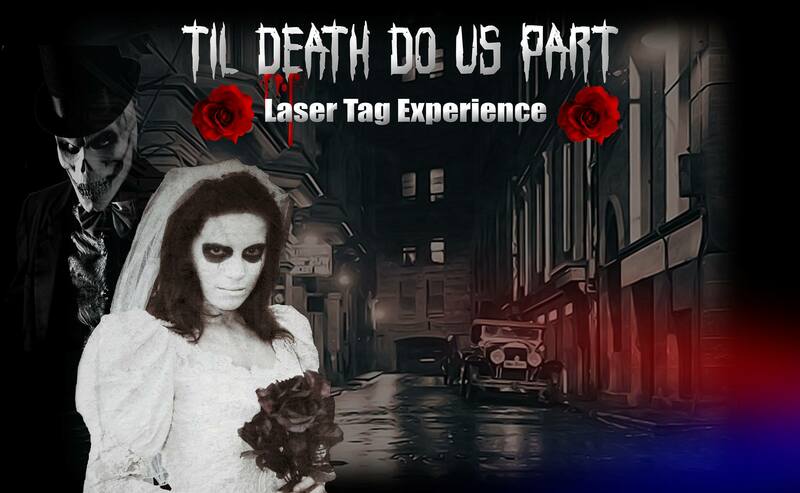 We will set up what would have been the outside portion of our haunted attraction. 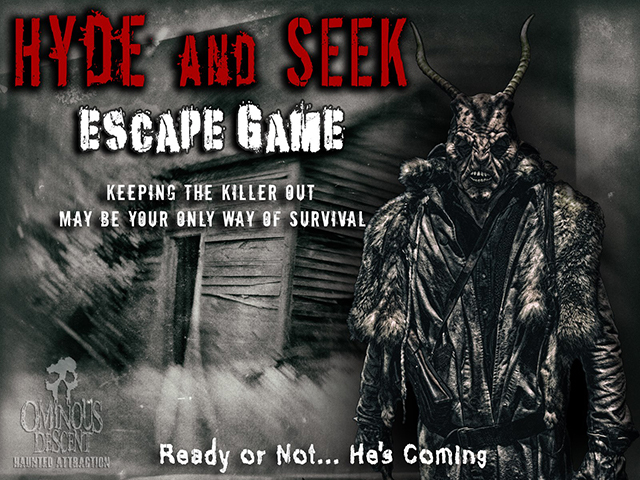 Wade Harris continues to grow his sadistic crop of depraved maniacs and psychopaths; he leads them deeper into the woods, torturing any unlucky soul who stumbles upon the decrepit farming compound. 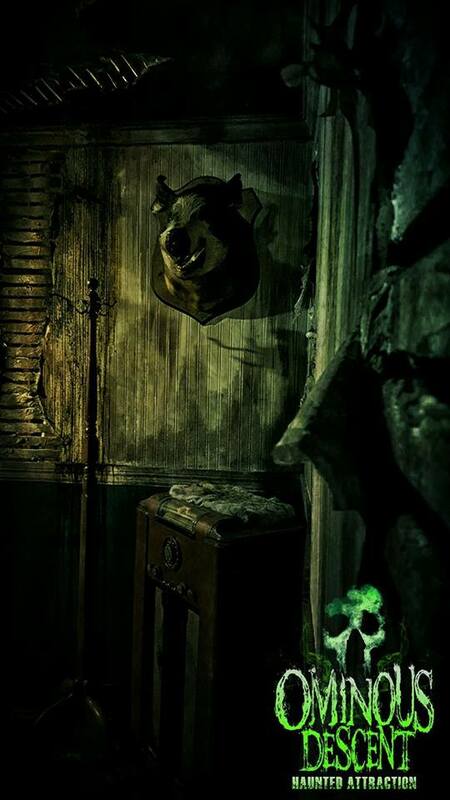 After Wade's son Jack was tortured and murdered in cold blood, his darkened and tortured soul was used by Ominous Grim to infect Jack's friend William. The fighting between their souls caused William to spiral out of control. He became schizophrenic, demented, and, due to sharing his body with Jack, he showed signs of multiple personality disorder. 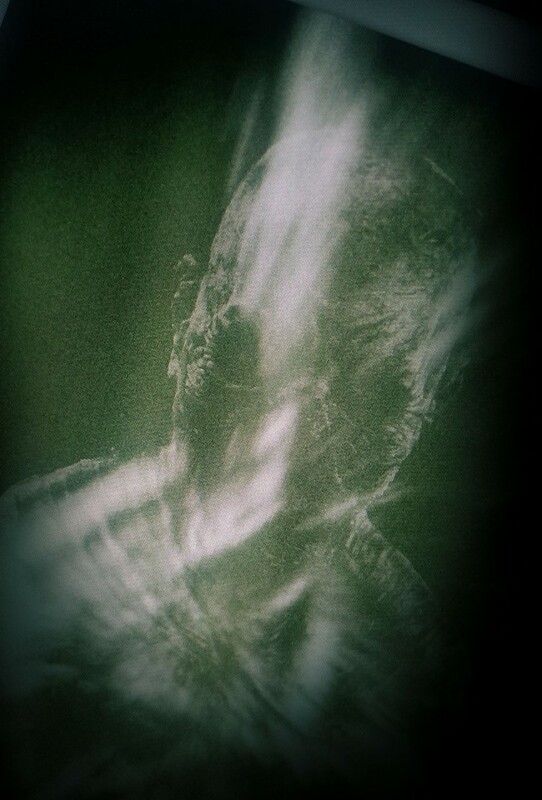 William's burned and disfigured face is that of trying to brand a single identity. Controlling both souls, Ominous Grim created a crazed, complex killer like no other and each soul has its own killing characteristics. 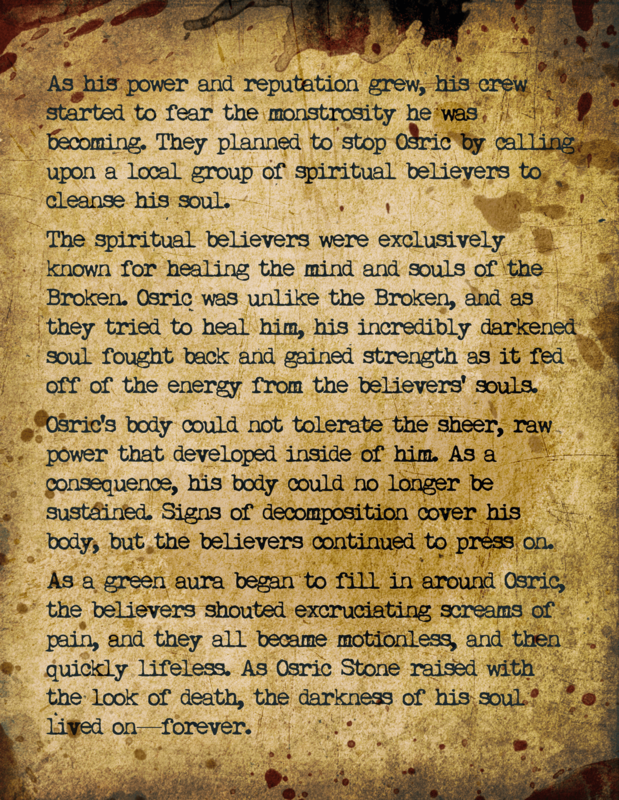 Which Twisted Soul will you face? 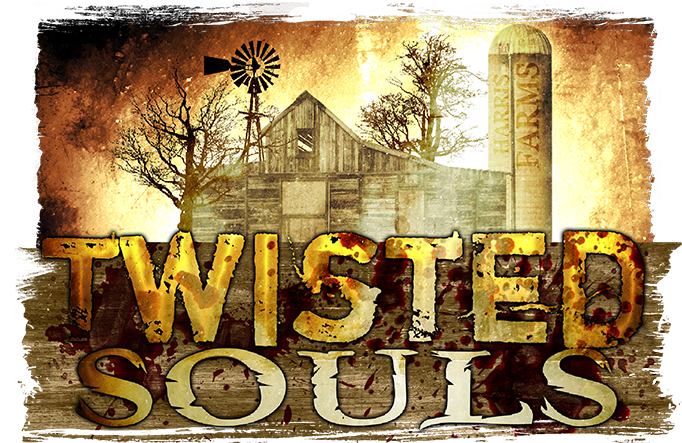 Will you be tortured or slaughtered in your attempt to make it out of the terrifying farm complex or will you avoid Ominous Grim infecting your soul? 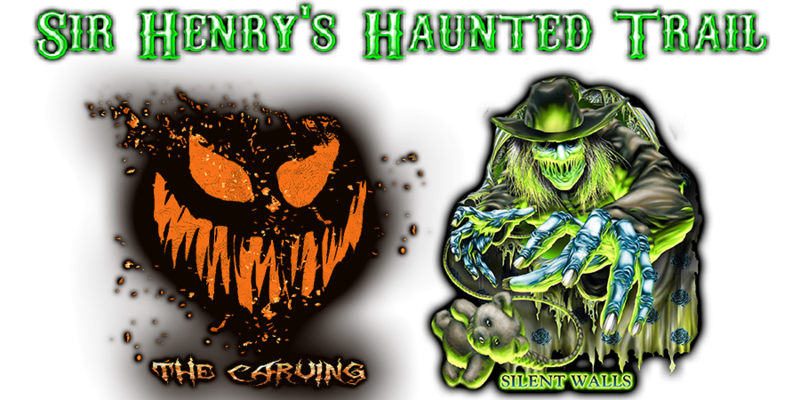 Sir Henry's Haunted Trail will host Ominous Descent, featuring Wade Harris, his Family, and his Henchmen. 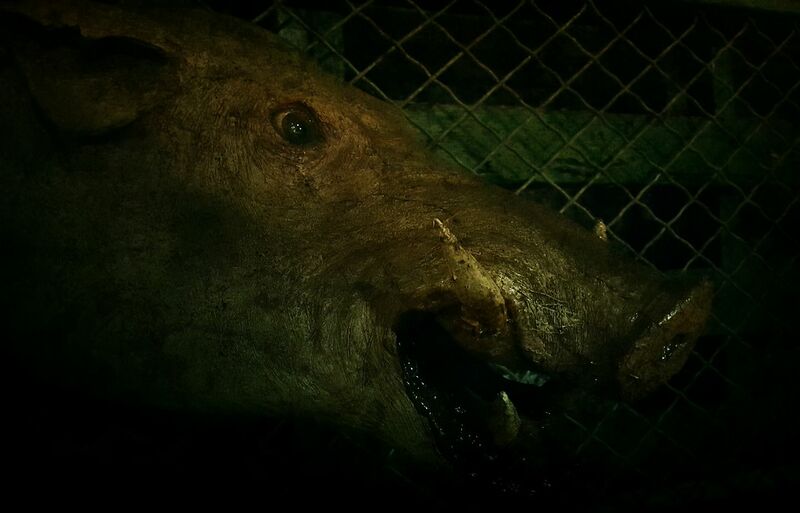 When Ominous Grim causes destruction to Wade's Butcher Shop and Slaughterhouse, Wade takes shelter deep into the woods where, although the location is different, his torturous ways remain the same. 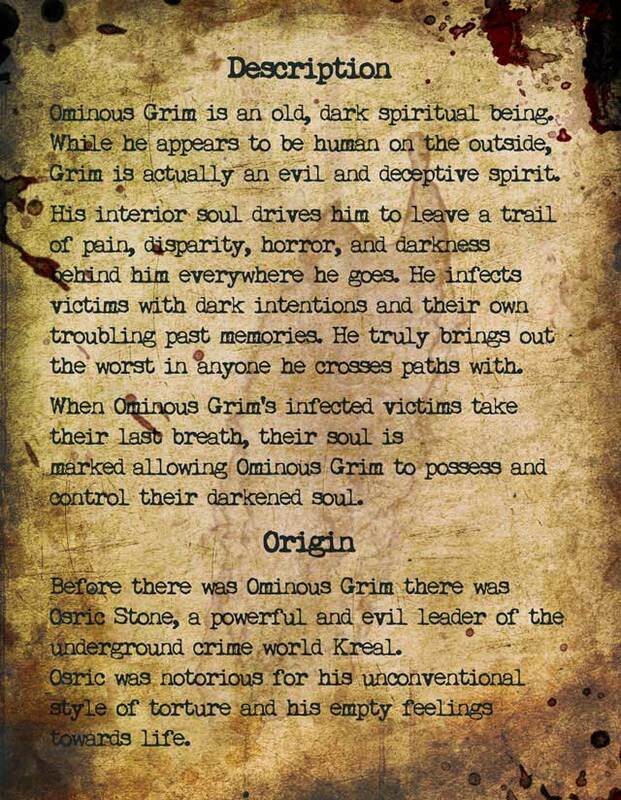 Once you're infected by Ominous Grim he has control over your soul. 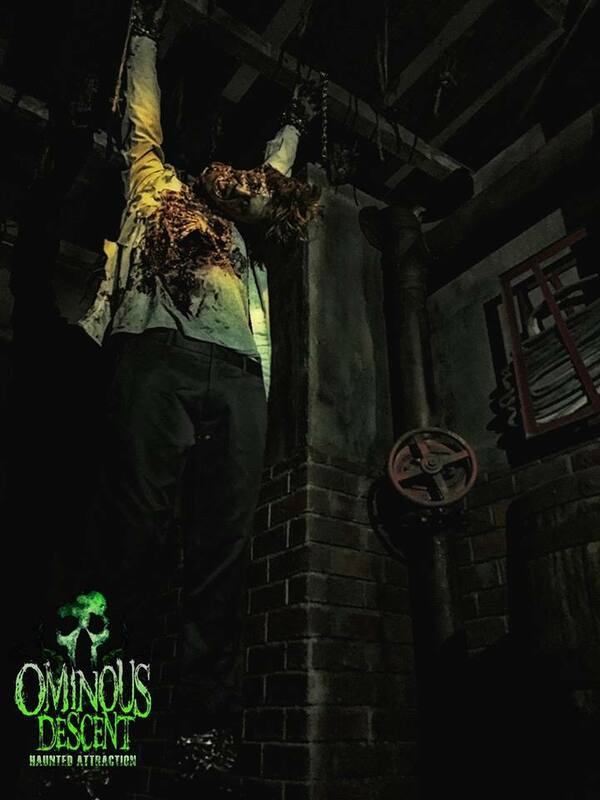 Will Ominous Grim take you down the wrong path and leave you victim to Wade's torturous ways? Wade Harris’s son was kidnapped and tortured before he was brutally murdered inside the slaughterhouse owned and operated by Wade Harris and his family. 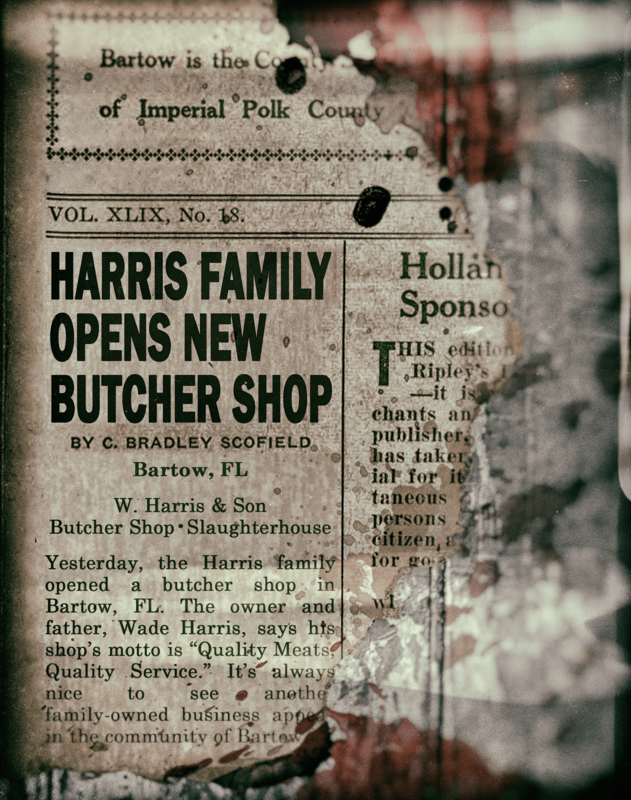 His son’s death led Harris down a path of depression and alcoholism. Harris drank himself to near death before Ominous Grim tracked down and infected the broken man, leaving behind a disfigured face and Ominous Grim’s methods of torture. This awakened a dark part of Wade Harris’s soul which can only feed on the suffering of his tortured victims. 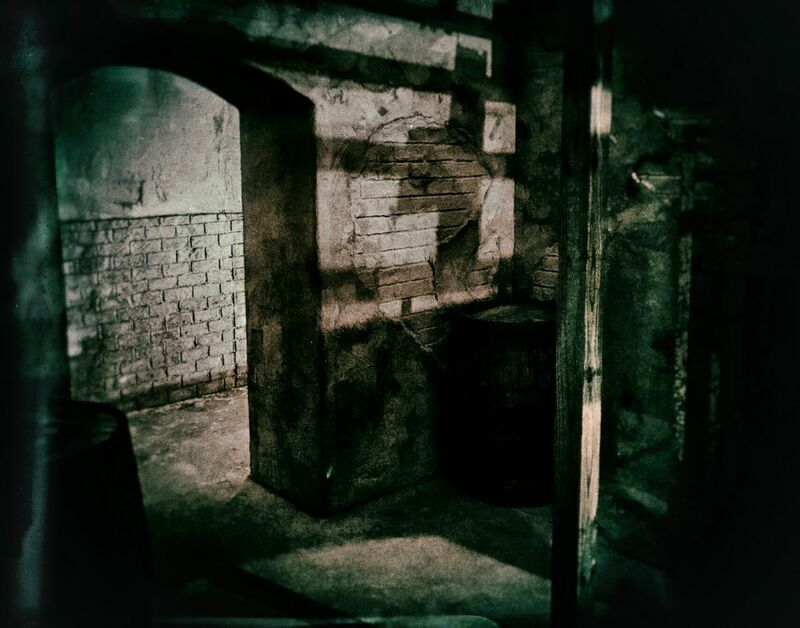 With his family and henchmen, Harris creates gruesome torture devices confined in the abandoned, decrepit building he once worked in to feed his sadistic soul. 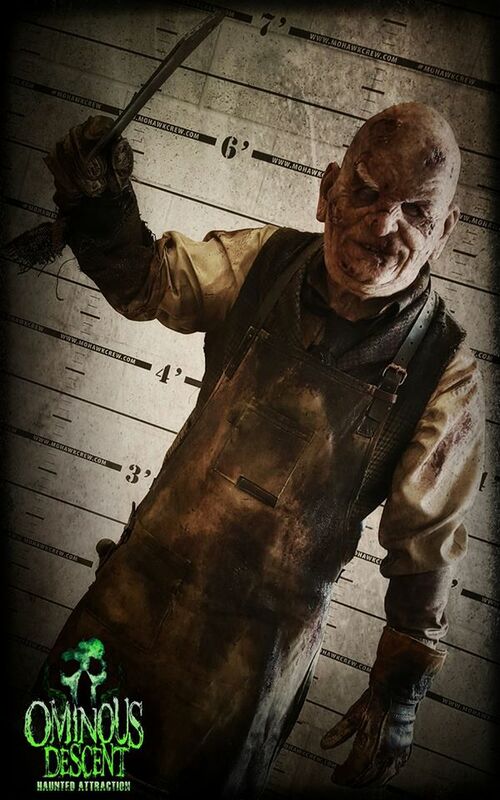 Avoid Ominous Grim infecting your soul as you make your way through the onslaught of terrifying contraptions and try to survive Wade Harris’s Slaughterhouse of Torture. 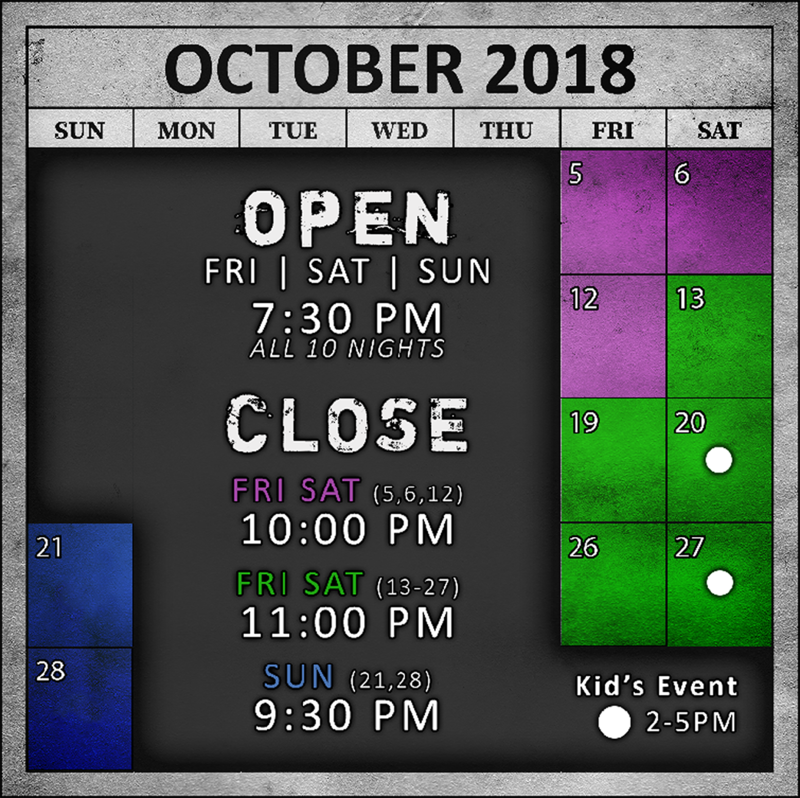 WARNING: Entering Ominous Descent Haunted Attraction entails known and unanticipated risks that may result in physical and emotional injury. Risks may include: slipping, falling, collision with fixed objects or other participants, bruises, twists, sprains, breaks, seizures, and possibly death. 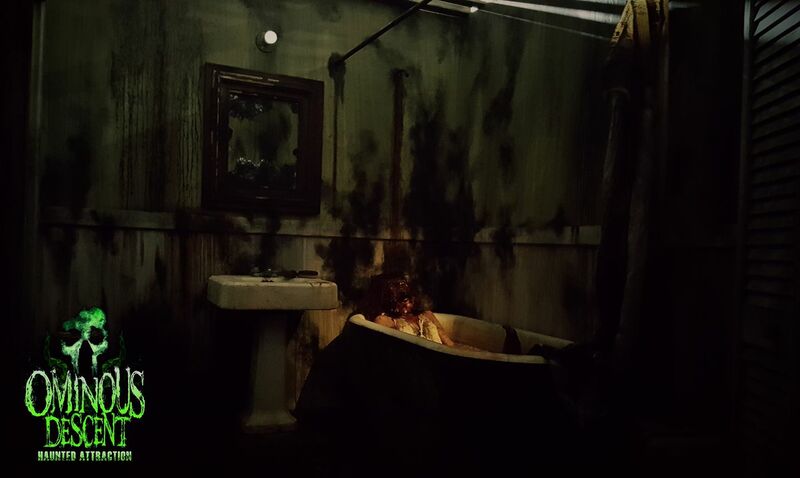 DO NOT ENTER a haunted house if you suffer from asthma, heart conditions, are prone to seizures, physical ailments, have respiratory or any type of medical problem, are pregnant, or suffer any form of mental disease, including claustrophobia. By reading this warning, you understand that such risks are to be expected when entering any haunted attraction, including Ominous Descent. These risks cannot be eliminated without jeopardizing the essential qualities of this activity. 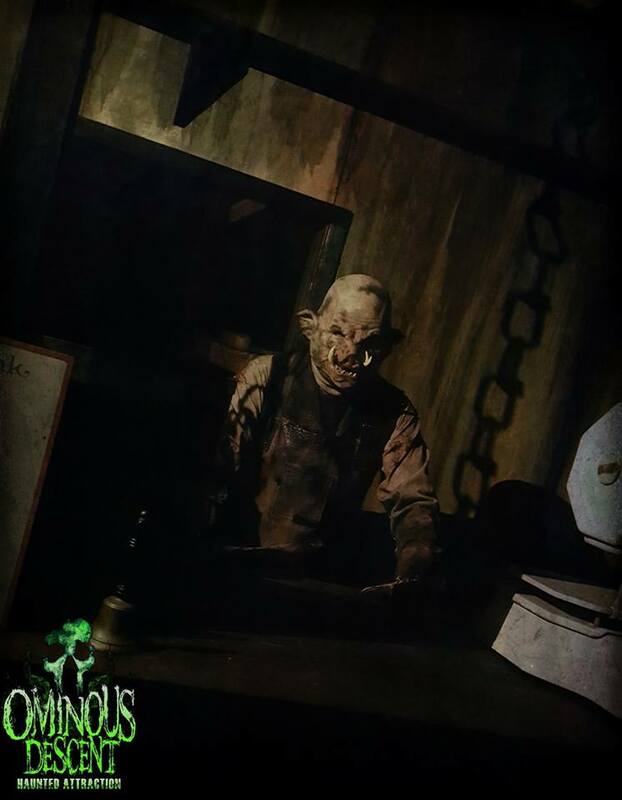 By purchasing a ticket to Ominous Descent Haunted Attraction it is expressly understood that you have been made aware of these risks and you agree to assume all the risks existing in this activity. Your participation is purely voluntary and you elect to participate in spite of the risks. We reserve the right to eject or refuse any person; no refund will be given. Copyright © 2017-2018 Ominous Descent LLC. All rights reserved.